I try to keep my radar tuned-in whilst trying to avoid too much of the noise. 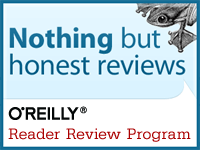 And for that reason there is still something essentially useful about a well structured book with quality content. My lecturing work at Tech Music School in Fulham and developing a paper on media industry collaboration for Henley Management School has seen me explore a number of interesting avenues from a range of great writers recently. From the latest thinking on strategic partnering and innovation to the lessons to be learnt from digital pioneers and brand & media franchising. In the first of this two-part series I am reviewing; ‘Strategic Partnering’ by Luc Bardin, ‘Brandscaping’ by Andrew M Davis and ‘Media Franchising’ by Derek Johnson. Luc Bardin, Group VP for BP, is a leading corporate deal maker with 35 years of experience building alliances and managing critical key accounts. His recently published book, ‘Strategic Partnering‘ is sub-titled ‘Remove Chance And Delivery Consistent Success’ and focuses a lot on consistency & quality of managing important business relationships. His highly scientific approach sits well for those that need to structure high value accounts, with good points for those on either side of the board room table. Bardin stresses the importance of strategy, partner selection, the particular skills of partnership managers, joint planning, the value propositions for both parties and the importance of transformation and culture. 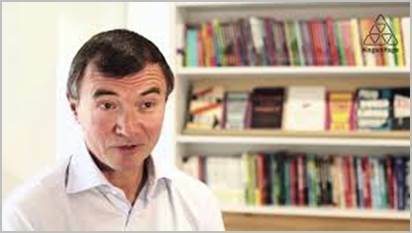 His approach is very complete and his advice and process mirrors that of the other classic partnership commentators, books and texts such as Tony Lendrun (‘Partnership Handbook‘), Hamel & Doz (‘Alliance Advantage’), Moss-Kanter (‘Collaborative Advantage’) and Chesbrough (‘When Is Virtual Virtuous’) – with an emphasis on planning, quality and fit. The smartest aspect of this book is that it is sprinkled with quotes and advice from a range of executives, such as Lord Sebastian Coe (London 2012), Frank Williams (Williams F1), Sir Martin Sorrell (WPP) and Takeshi Uchiyamada of Toyota – and the real-world examples show why partnerships and alliances are becoming such a source of competitive advantage and also also that is about tactics and doing stuff, not just ideas and strategy. One peculiarity however is a lack of effective footnotes or references which does make additional reading and follow-up research tricky. Also, as a point of debate, can anyone really remove chance and guarantee 100% success in Partnerships? Balance of probabilities maybe – but guaranteed? It seems a big call. I have seen brilliantly structured relationships fail and unusual ones flourish. We live in a world of ‘black swans’, unknowns, uncertainties and dynamic market, consumer and technology trends and no matter how effectively relationships are planned, built and measured, no management approach can guarantee a 100% success. The scientific approach outlined by Bardin seem to dismiss the ‘art’ of partnerships – the soft skills stuff; the fit, personal relationships, trust, empathy, and the ability to collaborate. Certainly, partnerships involve science. Structure, control, objectives, gates and way-points to measure mutual success. But I think there is a lot of art in the best ones too and certainly authors such as Moss-Kanter have pointed out that most strategic business partnerships and alliances fail for personal conflicts not mechanical ones. There is a lot to be said for the power of personal chemistry. If you are a manager of critical relationships, then Bardin is a valuable addition to your thinking and provides useful guidance on structuring large corporate partnerships. You can buy Strategic Partnering by Luc Bardin here. Brandscaping by Andrew Davis provides an excellent summary of the challenges facing marketers in an increasingly disparate media world, with an endless variety of digital channels that offer both opportunities and challenges. Davis explores the rise of social media and the death of traditional marketing approaches and along the way illustrates this with some brilliant case studies featuring the likes of Blendtec, Ken Bloc’s DC Shoes Film (see the video above). Davis has a strong emphasis on content and forming the right relationships and networks to build your brand in the digital landscape. As he summarises; ‘ Finding your own content partners will not only create a powerful and endless supply of great content but also expose your brand, products and services to their audiences. All you need is a partners with an email distribution list, a Facebook page and a bunch of followers on Twitter or YouTube’. Too simplistic? Perhaps. A big issue I hear from many marketers is not the amount of channels available, nor the new software, nor the amount of data and reporting that is offered but rather; ‘what does this all mean, to me as a marketer – really?’ And ‘are we spending our time doing the right thing?’ – and how do I decide what I need to ‘stop-start-and keep’ doing? It is by no means a simple media map to navigate as there are so many routes and unknowns. Davis points out that the landscape for marketers and media executives has fundamentally changed and smart partnerships and clever networks do open up a whole new world of branding opportunities. Usefully, Davis provides a range of ideas, tips and questions that every marketer can use. You can buy Brandscaping by Andrew M Davis here. The concept of franchising now dominates the world of the tv, film and music. Franchising is the ultimate fusion of brand licensing, leveraging intellectual property & strategic industrial relationships to maximise what you already have. The key relationships that fuse the entertainment industries involve huge degrees of creative, financial and marketing collaboration. For some, the countless serials and re-workings of boy bands, cartoon characters and hit movie story lines suggest a ‘bankrupt’ creative industry but with Harry Potter films generating over US$7.7 Billion in box office revenues alone, the commercial opportunities suggest it’s a kind of creative bankruptcy that many industries would like to have. Franchising, as Davis explains, combines repetition with innovation and creativity by using smart collaborations that cross different industries. Lego, for example, has brilliantly created a whole series of toys (not just simple licensing) – in conjunction with major film franchises such as Star Wars, Batman, Harry Potter and Pirates of the Caribbean. For anyone interested in how content and partnerships can be exported, syndicated and marketed this is a great read. 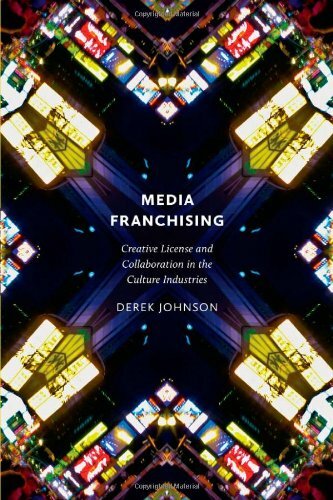 You can buy Media Franchising by Derek Johnson – here. 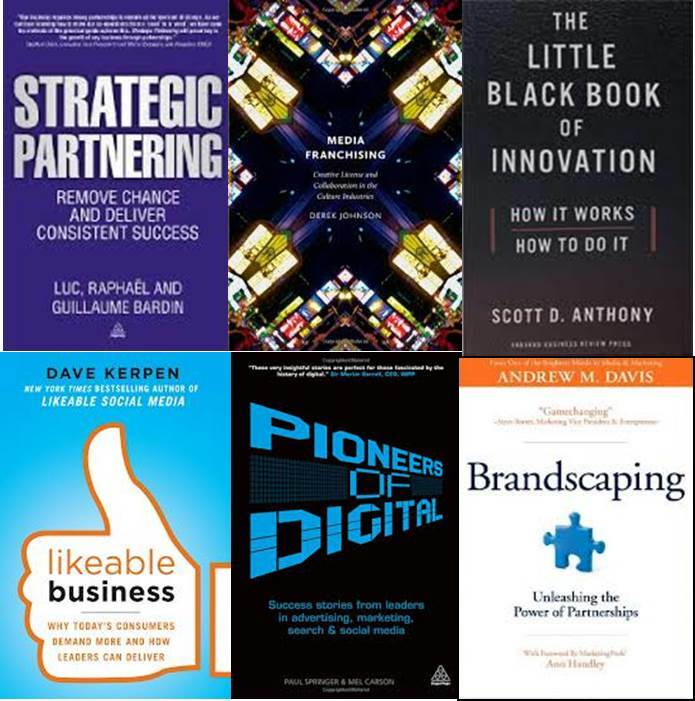 You can read the second part of this series here and see my reviews of; ‘Digital Marketing’ by Ryan and Jones, ‘Pioneers of Digital’ by Springer and Carson and ‘The Little Black Book of Innovation’ by Scott D Anthony. And, if you have alternative suggestions for books to include in future reviews, please contact me or send review copies to; Andrew Armour, Benchstone Limited, Adam Street Club, Adam Street, The Strand, London, WC2N 1AA. For more information on marketing partnerships, consulting, collaboration and my Cafe Workshops and seminars please visit Benchstone.co.uk or contact me here.